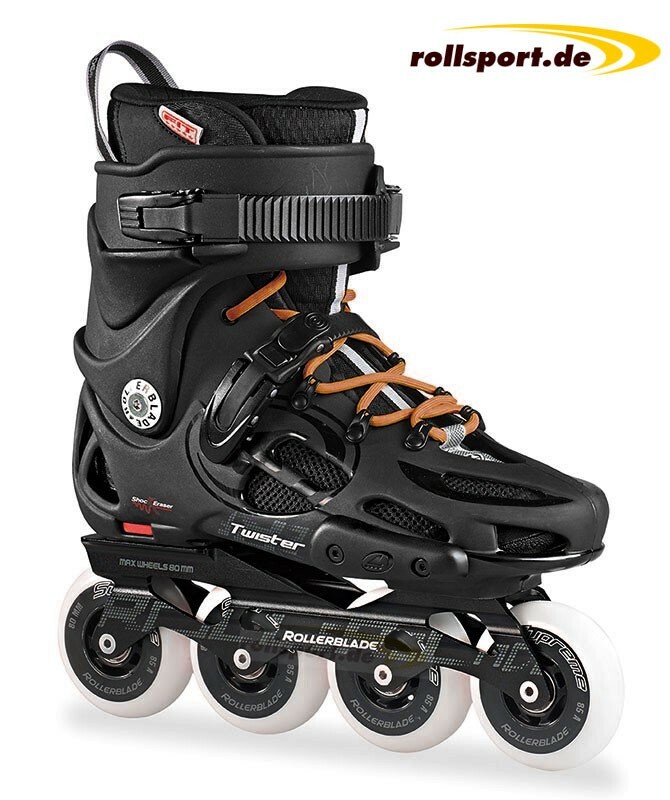 Rollerblade Twister 80 Men - Freeskate Inline Skate with 80 mm wheels, SG7 bearings, as well as a 243mm aluminum rail. The hard shell of the skate is air permeable. In free skating area of the Twister 80 is in great demand. It has a sturdy hard shell that holds very much standing. The wheels are 80mm and 85a both in the perfect size, as also in the perfect hardness for the Free Skating. To survive the biggest jumps harmless, a 243mm aluminum rail was installed.